Artist Huck Gee, a native of the UK but currently based in San Francisco, is well known for the work he does with Asian pop art. His work has been released through Kidrobot numerous times in the past, and his latest creation is sure to be a hot ticket for collectors of limited edition toys. 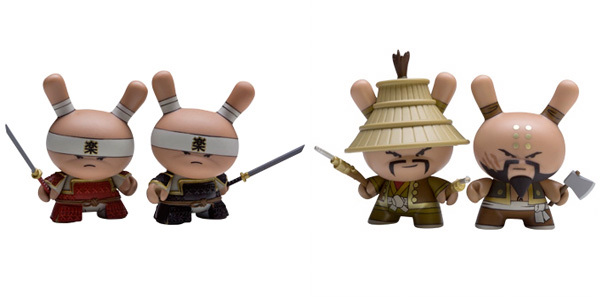 The Dunny Gold Life hyper series from Kidrobot features 13 three-inch tall characters that are blind boxed. 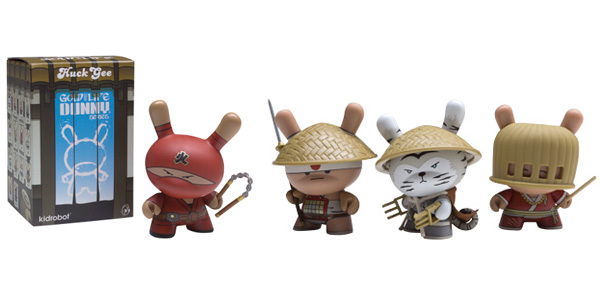 From ninjas to Geishas, warriors to wretches, each figure comes equipped with a fitting accessory — you just won’t know which one you’re getting till you pop open the box. 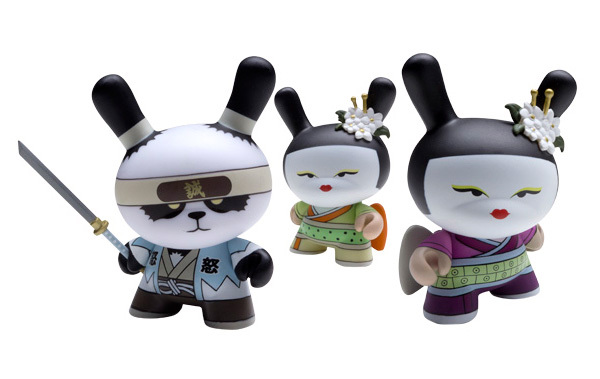 Bummer, cause we got our eyes on that Samurai Panda for real. The series is set to release September 1 for $9.95/blind box.